This is the way DP – Digital Performer – looks in version 9. 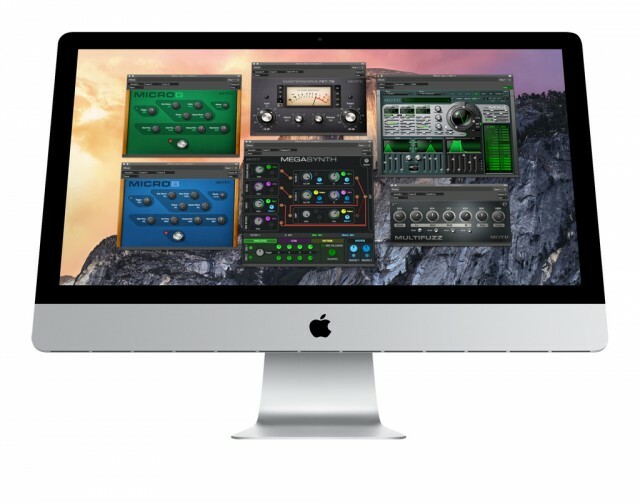 The tried-and-true Mac DAW now has Retina Display support on that platform, and looks like a viable option on Windows, too. DP9 may not get the amount of attention on the forums and such as some rival DAWs (Logic, Cubase, Ableton), but it has a hugely loyal user base and dominates in film and TV production. The DP9 release seems mainly about giving that loyal user base the stuff they want. The big features: Retina UI on the Mac, lots of workflow improvements (including score export), and new bundled MX4 synth and effects, including one effect that turns your guitar into a synth. Separate automation lanes when editing sequencing (for audio, MIDI automation, plug-in settings, etc. ), as seen in some other DAW arrangement views. That same view also gets a Spectrogram. Retina themes – Retina resolution for existing themes and that purty new DP9 theme. Unfortunately, this is Mac only, so doesn’t help you if you’re running a PC at higher resolution (though I suppose that’s more rare). Add tracks quickly with the ability to have at all the track types you need in one go. MIDI learn with plug-ins, including Custom Consoles. Search by Markers, Chunks, and plug-in preferences. Now, oddly, I think what could prove to be the biggest feature in DP9 is MusicXML export. That lets you take notation from DP’s QuickScribe view (which shows scores alongside arrangements) and export it in a format you can bring into dedicated notation tools like Finale and Sibelius. DP9 is hardly the first to add this feature: Cubase/Nuendo have export and import, and Logic and SONAR each do export. 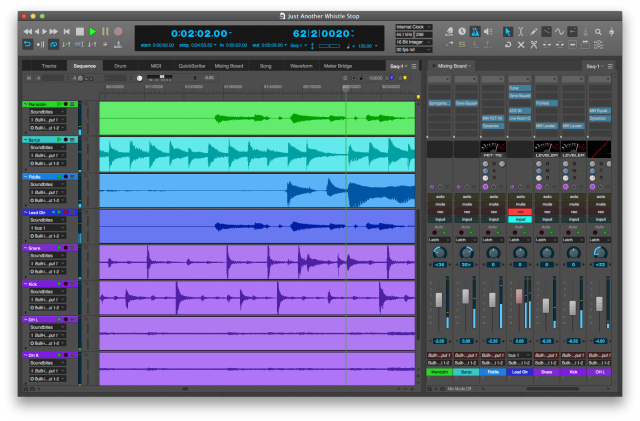 Avid’s Pro Tools even integrates Sibelius directly, now that Avid owns that tool. But DP9’s enormous popularity in TV and film scoring – including use by giants like Oscar winners Michael Giacchino and Dario Marianelli – mean that this could be a huge boon in score and part preparation. The list of users working with DP is just stunning, and this is a user group that is hugely dependent on turning projects around with incredible speed. The other advantage of coupling DP’s notation facility with MusicXML export is transcription. You can work with MIDI – even un-quantized – directly in DP and quickly produce notation that will work in scores. MOTU claims it’s got one of the best transcription engines on the market; I can certainly at least say that it’s a lot more comfortable to use than trying to manage MIDI in a notation tool. The notation software is often poor at handling un-quantized MIDI data (as it’s built to work with rhythmic values on the score, not in the recording), and it lacks the punch, recording, and tracking features that make input easy. So MOTU’s QuickScribe and MusicXML are a combination that’s been waiting to happen. Export only means you can’t start a score elsewhere and bring it into DP in MusicXML format (though SMF is possible), but I suspect scoring in DP first to picture and then preparing parts or editing elsewhere is more common, which means export is sufficient. See the official MusicXML site for more on that terrific format. Upgrading to DP9 costs US$195, though. So the other story here is new synths and plug-ins to sweeten the deal. On the synth side, there’s MX4, a hybrid subtractive/FM/wavetable/analog synth – basically, a big machine that does everything. That may or may not be of interest to you, given how many synth options are out there these days, but it’s there. FET-76 1176 limiter model gets added to the MasterWorks collection for some classic limiting. Octave Generators: MicroG and MicroB for guitar and bass, respectively. MegaSynth processor: Guitars go in, synthesizer comes out. You basically get polyphonic octave generation, with a full synth architecture (envelopes, LFOs, flexible signal routing, and even a pattern generator and macros). MegaSynth and MultiFuzz are two I’d try out, for sure. DP remains US$499 street, though probably nearly anyone interested will qualify for the competitive upgrade of US$395 – and anyone with MOTU hardware probably has a copy of AudioDesk, which means you can get a US$395 upgrade from that.